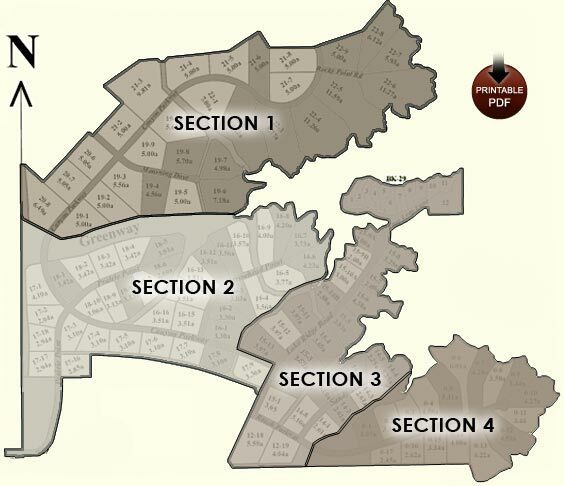 Our Lots Map & Survey is broken into 4 separate quadrants. To find out lot specifics and availability, pricing information, and pictures, please first click on a quadrant then the lot you are interested in. Click here to view the map in a printable PDF document format.